Despite widely available vaccines, the flu virus causes thousands of deaths and tens of billions of dollars of costs to society in the United States each year. Because the virus has so many strains and mutates extremely rapidly to resist vaccines and antivirals, finding effective and durable treatments is not easy. Researchers from NC State are trying a new approach — using the virus against itself to slow and ultimately destroy it. 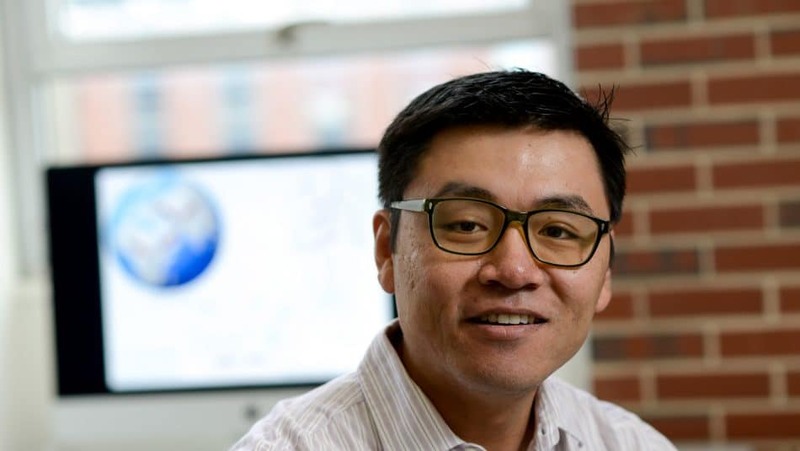 Ruian Ke, assistant professor of mathematics and a member of NC State’s Precision Medicine faculty cluster, is leading this project to create and test therapeutic interfering particles (TIPs). These engineered defective viruses piggyback on the functional viruses to waste resources that viruses need to assemble and replicate and have the potential to reduce viral burden, disease symptoms and disease transmission. And because they evolve and transmit as the viruses evolve and transmit, TIPs could be evolution-proof and effective against viral escape and resistance. The project is being funded by a $5 million grant from the Defense Advanced Research Projects Agency (DARPA) that funds “high-risk, high-reward” projects. The interdisciplinary research team also includes researchers from the University of Illinois at Urbana-Champaign (Christopher Brooke), Duke University (Katia Koelle), Rutgers University (Laura Fabris) and Montana State University (Connie Chang). An important component of the work will be mathematical modeling of the virus’ behavior and of the TIPs’ potential interactions and effects on the influenza virus and the immune system. This research will help shed light on how effective they can be in counteracting the severity and spread of the disease. The team’s ultimate goal is to develop a low-cost and resistance-proof treatment to eliminate threats of influenza viruses. This condition is quite limited by the reproductive system and could have several causes such as a result of injury or abnormal blood circulation inside testicles. However, it is important to have the doctor’s opinion first prior to taking these oral medications because they could have pessimistic effects for the body.